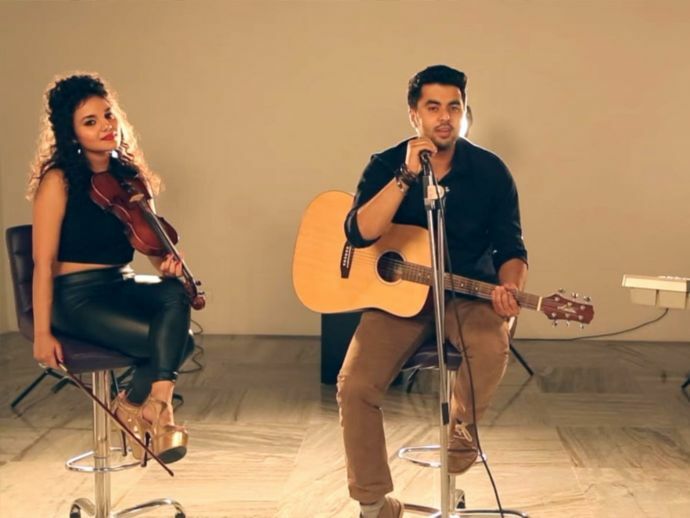 This "Channa Mereya" And "Love Me Like You Do" Mashup Will Tug At Your Heartstrings! A beautiful rendition of two superhit songs that will tug at your heartstrings! 2016 was a year of amazing songs - both Hindi and English! It also happened to be a year of mashups! Budding artists who have growing taste in both languages gave us some brilliant performances and these videos went viral. Adding to the list is this amalgamation of Arijit Singh's 'Channa Mereya' and Ellie Goulding's 'Love me like you do'. Two songs that tug at your heart strings every time! Singh's Unplugged came up with a soulful mashup of these two and it couldn't be more soothing! Here is their beautiful rendition!